Wow! Thank you for the encouragement Kristi.. We all need some dose of these encouraging words every day. Linked behind you at #IntentionalTuesday. Would you mind linking up with us at EncourageMe Linkup (http://www.graciousinsight.org/read-the-bible-intentional-bible-reading/#.Vt7L9fkrLIW) .. I’ll be glad to have you share with us. Hi Kristi … thanks for putting this on the table today. Discouragement creeps in so slowly, yet surely, and I see the subtle destruction it eeks out in my life. I need to be quicker in stopping it in its tracks, claiming the truth of Scripture, speaking life into my gray spaces, and connecting with those those who speak truth. Love this piece. Appreciate you!! Subtle destruction ~ perfect description, Linda. Always love your visits. Thanks for sharing. Love it!! The writing, the words, and your heart behind them. So grateful that we have that soft place to land in one another and that together, we can fix our eyes on the author and finisher of our faith!! Yes, Tiffany, we’re fixin’ (as they say in the south) those eyes. #Jesus So appreciate you and His faith glowing from you, friend. Thanks, Lyli. So nice to see you here. Kristi, what a lovely post! You have wise friends. I’ve found that when I tell a friend about what’s discouraging me, the enemy loses power. Just putting those dark, hurting thoughts into words dissipates some of their sting. I love that Jesus has given each of us friends to come alongside us, to speak truth to us and to encourage us with their friendship. Yes! The enemy loses power when those words fight free. xo Blessings, Crystal. Love you, my friend. Aw, Friend, I could just about cry right now! It’s so precious to be on the same Team Jesus with you. This is a good word of wisdom, Kristi: Tell a Friend. I’ve seen it make a difference so often in my own life. Let’s take a swing at Discouragement with the Holy Spirit! And let’s keep running our race. What wonderful words, Kristi! Yes, discouragement takes its toll. I love your advice – tell a trusted friend. Such a simple solution, but we often don’t want to bother others. Thank you for your words today! Hi Ellen! It truly is such a simple solution. Kristi, LOVE this post! This is one we all struggle with. We all get discouraged at times. We confidently expect things to go our way and then here comes the curve ball. I had a brief moment like that yesterday, that made me want to quit something I love. Thanks for the reminder to get back in the game, because it ain’t over yet! 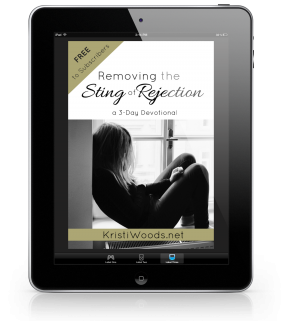 Kristi, discouragement is such an enemy. I really enjoyed this post and I’m so glad God put us in community to lift each other up. Thank you for such honest and good words today. LOVE this! As a huge baseba fan, I love the analogy too. 🙂 Thanks for linking with Woman to Woman. God bless! Hi Jenifer. Thanks for stopping by. Kristi, your words make me aware all over again that when we encourage a sister in Christ we are really carrying the grace of God to her on behalf of Jesus. What a privilege to do it, and what a privilege to be approached by a discouraged Christian who needs building up. What a privilege, indeed. Thanks for stopping by, Michele. Self-pity can keep us isolated but you are so right–reach out and we will find courage that will overcome our discouraging situation. As I read your post today I realized that reaching out was exactly the right course of action and I’m so glad I did! Visiting from the #RaRaLinkup. Reaching out – yes, that’s where the courage resides. Thanks for stopping by, Angela. You’re welcome, Sue. Appreciate your visit.